If you have applications that need reduction from 6 inch to sub-micron size, choose from Prater’s superior fine grinders, Air Classifying Mills, Hammer Mills and Lump Breakers to meet all of your industrial processing needs. Since 1925, we have designed, manufactured and created innovative products for large and small customers all over the world. Many decades and 6,000 customers later, Prater’s products are some of the most versatile and diverse on the market. We are always committed to providing the highest-quality processing equipment to ensure efficiency and overall performance. Our lump breakers reduce pieces or lumps from 6 inch to 1/16 inch and feature easily replaceable rotating and fixed blades. Many different products, such as chemicals, minerals, salt, sugar, fertilizer and ceramic powders, can be processed using our state-of-the-art lump breaker. If you are looking for something a bit more precise, consider our fine grinders for your needs. 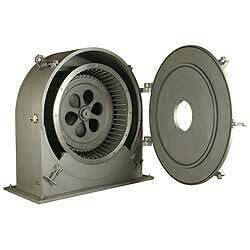 Designed to grind dry, free-flowing material down to 200 mesh with very tight particle distribution, our fine grinders are also ideal for heat-sensitive materials such as powder coatings, sugars and resins. 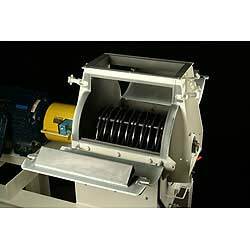 Prater’s Hammer Mills are widely used throughout a variety of industries for processing many different materials within a wide selection of particle reduction applications requiring high capacities, power efficiency and uniform particle size. 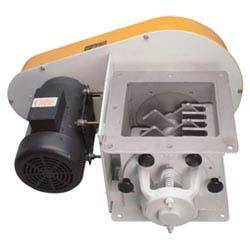 All of our hammer mill models utilize our exclusive Full Screen design, which ensures use of the entire available screen area. 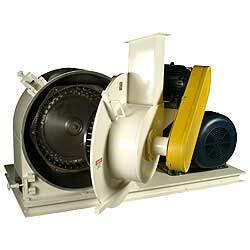 Additionally, our Air Classifying Mills offer both two-state closed-circuits grinding with inter-stage air classification all in one convenient unit. The Air Classifying Mills are ideal for any difficult-to-grind applications or for any narrow particle distribution curve.